'The file or directory is corrupt and unreadable' is a common error that usually occurs due to an issue with external hard drives. The error message is displayed when Windows cannot read or access the external hard drive. There are a lot of reasons may lead to this error and fortunately, here are fixes available. Reasons Behind "The file or directory is corrupted and unreadable"
FAT or MFT partitions of the hard drive are corrupted. The external hard drive is infected with a malware or virus. A malware/virus could corrupt the hard drive's partition(s) or data stored on it. External hard drive is physically damaged. External hard drive was removed improperly from the computer which led to the corruption of its partitions. The USB port of the computer (which you are using to connect your external hard drive to the system) is not working properly. Top 2 Ways to Fix "The File or Directory is Corrupted and Unreadable"
The first thing to do when you encounter "The file or directory is corrupted and unreadable" error is to perform a disk check to see if there are any fixable issues on the disk. You will need to use the command named chkdsk for this purpose. This command scans the drive and fixes various issues like lost clusters, bad sectors, cross-linked files, directory errors, etc. 1. Launch CMD on your Windows PC via the Start Menu. Run it as administrator. 2. Type chkdsk /f x: in the Command Prompt window and press Enter to execute the command. X here is the drive letter of the corrupted partition that you want to check. Once you execute the above-mentioned command, Windows will scan the drive and inform you about the errors it contains. Formatting the hard drive will fix the problem but it will also erase your valuable files. To avoid such frustrating problem, you'll need a professional data recovery software to recover all your files before formatting. 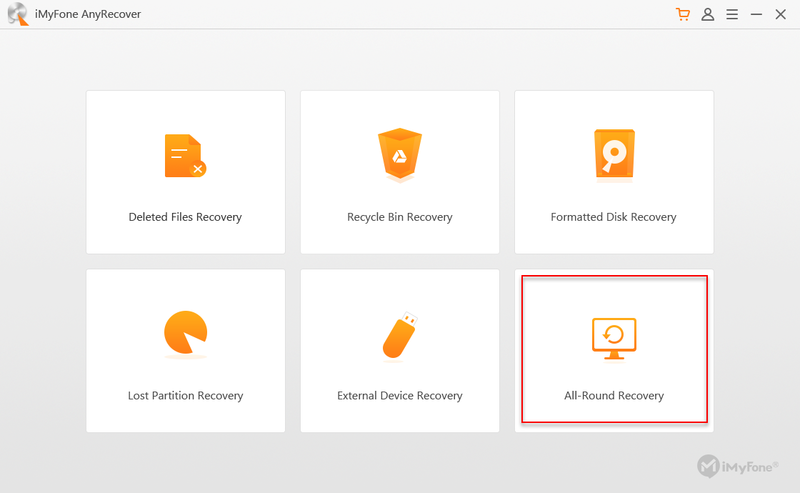 iMyFone AnyRecover is recommended choice, it has no limitations which means you're allowed to recover all files in a single recovery session. Recovers all files with just a few clicks. 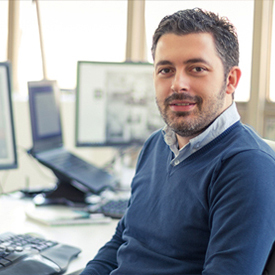 Using the software is also very easy thanks to its user-friendly interface. Supports over 1000 file formats recovery, including photos, videos, music, documents (Word, Excel, PowrPoint, PDF, etc. ), archive, etc. Apart from recovering lost data from external hard drive, it also supports file recovery from internal hard drives, memory cards, USB flash drives, digital cameras, etc. 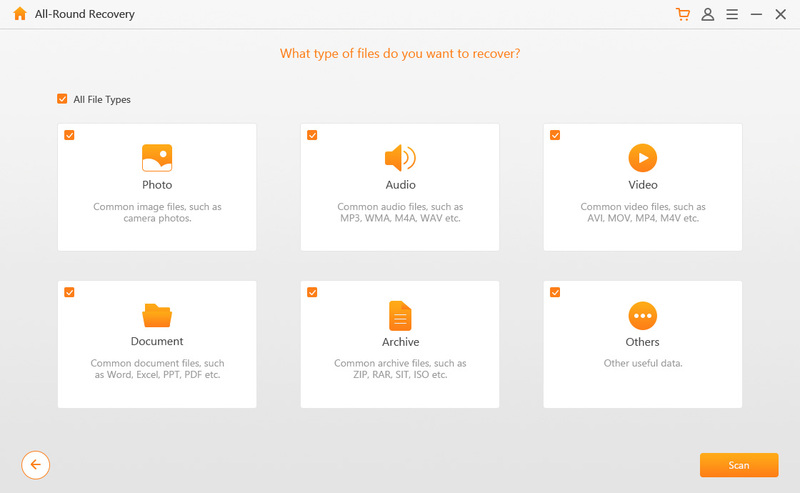 AnyRecover can help you recover lost files efficiently no matter how they got deleted, such as system crash, physical damage, malware/virus, or any other reason. 1. Firstly, launch iMyFone AnyRecover on your computer and select one of its modes. Here recommend the All-Round Recovery mode. 2. 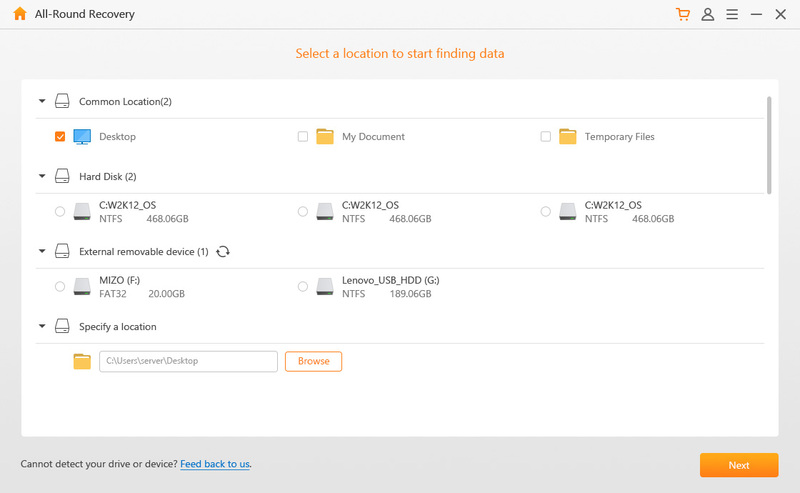 Secondly, select the locations (folder, hard disk or external removable device) to start finding your lost data. 3. Thirdly, tick the 'All File Types' because you want to recover all files from the drive. Then click the Scan button. 4. Finally, preview the scanned files and select those files you want to recover. Now that you've retrieved all the files, the next step will be formatting the external hard drive. Formatting the drive is quite easy as you don't have to use any third-party software for this. You can either format the drive via Windows Explorer or via CMD. It is recommended that you format it via Windows Explorer as it is faster and less complex method. 1. Open My Computer/This PC and navigate to your external hard drive. 2. Right-click on it and then click the Format option. 3. Now choose the file system and also tick the Quick Format under Format options. Next, click on 'Start' button to start formatting. The error "The file or directory is corrupted and unreadable" can be really annoying as it prevents you from accessing your hard drive. The issue can occur due to several reasons but the good news is, you can fix the problem via formatting. But before you do that, it's a wise decision to recover all the files via iMyFone AnyRecover to keep your files safe. "CHKDSK is not available for RAW drives"? Fix It Now! 2 Verified Solutions for "The file or directory is corrupted and unreadable"